Where there is a stout and strong spiritual power behind the artist's mind and the bright interest to bring the originality to the music, the uniqueness comes out as an outcome. 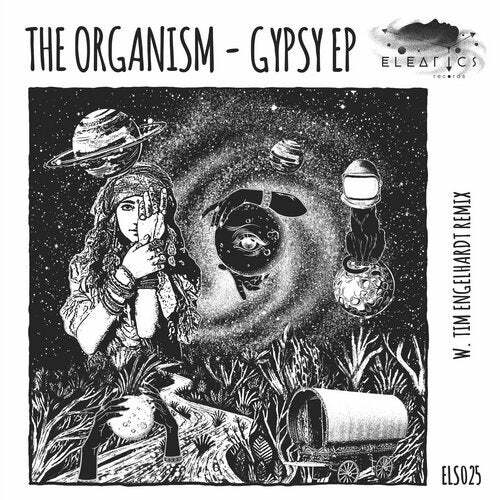 Ukrainian artist The Organism is the entire example of what is said: multigenred, always unpredictable producer with the signature style embracing the best of hypnotic bass vibrations, the exciting vocals and the mystic ethnic sounds. Last year The Organism gained massive support thanking to his 'Reflection' track which was played by Solomun, Ame, Dixon which is pretty enough to say at this point, not saying about a line of dancefloors worldwide. All abovementioned makes us happy to introduce you one the most awaited releases this year for us: meet 'Gypsy' EP. Main title track has already impressed the thousands of people dancing to Diynamic's boss Solomun at his Cercle set at Théâtre Antique: dotty and accurate bass of the track comes out as a great platform of the whole track's mellow structure which is the perfect combination of the groovy and tense house beat with the melodic leitmotif. Non less than the electronic prodigy - that's how we can briefly describe Tim Engelhardt who is remixing 'Gypsy'. German producer who has so far released his music at such world renowned imprints as Steve Bug's Pokerflat, fryhide curated by HOSH, John Digweed's Bedrock which are the main but far not all on Tim's achievements list. Tim's remix is a steady filler of electric filtered bass which comes as a bone of this brilliant version. Progressive nature of 'Dioxide' with a dramatic melodies leads us to Eastern flavored 'Root'. Firmly built brand style of The Organism can be heard here in this release, whilst we work, keep and can't wait to share more music with you this year. With no boundaries, as a motto.